Salaam-E-Ishq Time for Is Pyar Ko Kya Naam Doon? Its time to salute to the emotions that churn your heart and make you shake you leg. With the impending engagement celebrations of Payal and Akash and Arnav-Lavanya, it is surely time to set the ambience into some foot-tapping music. As a part of the engagement celebrations the makers have incorporated the number Salaam-E-Ishq from the movie with the same name to bring out the hidden emotions of our leads. We spoke to Director Lalit Mohan about the sequence who left us thinking when he said, “you will have to watch the sequence to know how you will notice a blend of happy and sad moments during the course of the song!” Since we chose to be good audience, who love surprises, we decided not to pry further into it. So watch out for some interesting revelations and realizations as our dear Arnav, Khushi and La dance to the tunes of this hit number on StarPlus. During the Early Morning Shoot. The opening sequence that was extremely hard to shoot as the shots needed to be captured during either dawn or dusk. We shot for two days, ten mins each in the morning and evening. It was challenging yet, came out perfectly. Memories to carry forward: I have very fond memories of Geet and get emotional every time I think about it. Drashti is brilliant as an actor and the most dedicated one I have ever seen. We shot the Golden Temple sequence in the month of May. The temperature was almost 48 degrees and it was burning hot, making it impossible for any of us to stand on the hot marble for even a minute. However, Drashti walked on the floor without even complaining once. Hats off to that girl! Fan Reactions to work: I have worked on many shows before, but it was only after Geet that people started walking up to me and telling me how much they loved my style of lighting. To me, the light and the set-up define any scene even before the actors and the dialogues come in. I feel thrilled when people notice the efforts that go into putting together a scene. The best thing about Hrishikesh is that, you talk to him and you realise how emotionally attached he is to Geet, the Show. Despite working on two other shows that take up most of his time, he makes it a point to visit the sets of Geet to make sure he keeps his touch with the show intact. The makers are as attached to the show as the fans associated with it, as to them it means waking up to a morning where they have no place to go to! With so many emotions to convey on screen, these creators have to live them each day. The end of a show surely means putting a grind halt to hoard of things that come along. Hope you enjoyed today’s Geet Segment! We will be back soon with another as promised! In a show every scene is important as it takes the story forward. But you will be amazed to know the amount of effort that goes into putting up a scene. The cast rehearses the scene innumerable times to get the right emotions and expressions, while the crew also tries to work on setting up the mood and ambience by adjusting the lighting and deciding on the various camera angles. As Rangmunch.TV believes in bringing forth behind the scene segments of show making, so here’s a small snippet from the show Iss Pyaar ko Kya Naam Doon on Star Plus, where Barun and Sanaya who play Arnav and Khushi are seen rehearsing a forth coming scene to ensure that the viewers eventually get to see the best of them on screen. There are additions and instant improvisations made on the spot to enhance the final product. While you watch this we at Rangmunch tried to dig out who this “AMAN” is to whom Arnav is seen talking to all the time on the phone. For a brief few seconds you see a man in a yellow T shirt taking up some screen space on this footage. 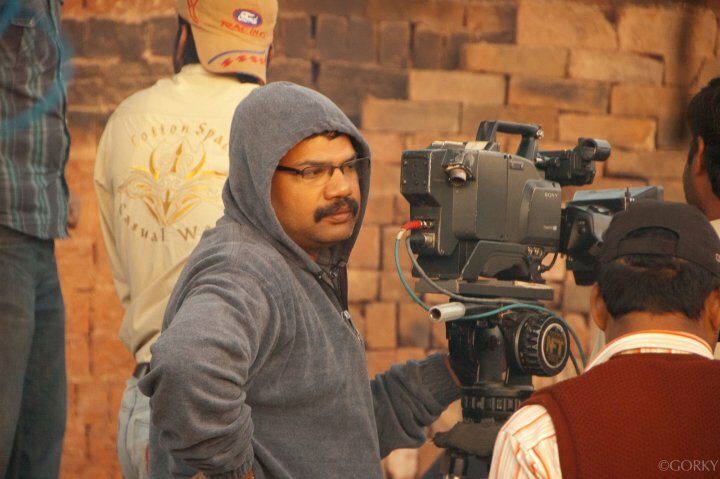 Aman is a member of the Direction team and is very much a part of every frame that is shot. It is interesting to note the tongue in cheek humour that the makers subtly try to infuse in the show that goes on to add a personal touch to it. The names you hear, are actually the names of people working in and around the show. A while ago Arnav was also shown to be conversing with Lalit during one of his onscreen conversations. 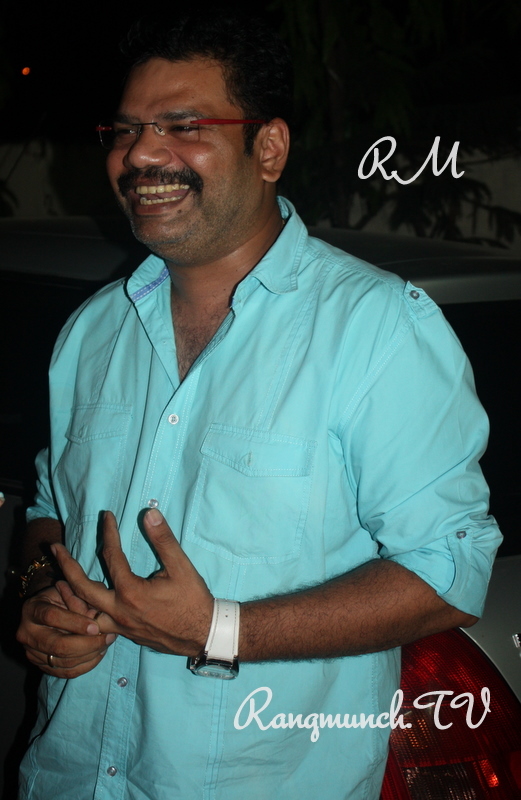 Most of you are already aware that Lalit Mohan also happens to be the Director of the same series. This scene however was shot by Arshad Khan who is the other Director on the show. The breath taking visuals are provided by our very dear Hrishikesh Gandhi who is also associated with Star One’s Hit show Geet Hui Sabse Parayi. So now when you watch the above scene, you know of all that happens on the other side of the camera as well. Its a century for Iss Pyaar Ko… Kya Naam Doon !! A Note of Thanks from The Rangmunch Bunch!!! As promised, we are back where we belong – right here with you all, after spending a fun day at one of the sets with the cast and crew of Star Plus show, Iss pyaar ko kya naam doon! We had a great time at Buaji’s home with the lady herself (Abha Parmar), Akash’s Payalji ;-), played by lovely Deepali Pansare and last but not the least, hate me if you dare, Shyam played by Abhas Mehta. We were warmly received by Abhas himself, who later personally introduced us to Deepali and Abha Parmar. Since we had just missed Buaji’s famous Bhel, she sweetly ensured that some snacks were ordered for us. We were having such a delightful conversation with the three of them that it sure dint feel as if we were meeting them for the first time. 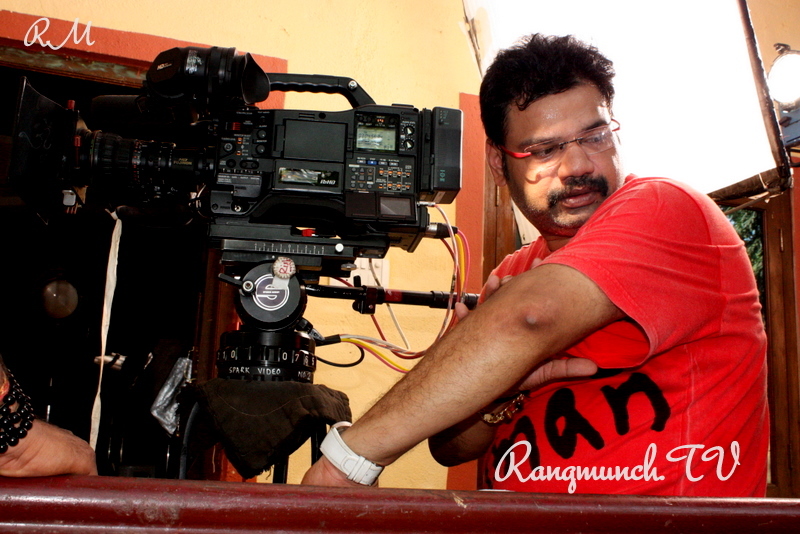 Lalit Mohan was directing the show with an efficient Hrishikesh Gandhi behind the camera. We also had the pleasure of meeting Akash, the script-incharge of the show. Am sure none of you can wait to know the forthcoming track of the show. As anticipated by several fans, Khushi’s parents come visiting to be near their daughters at this difficult juncture. But what none of you would have expected this early in the show is that our Buaji will convey a wish to get Khushi married to Shyam. Pyu Mori Mehta who previously was seen as Mauli’s mother in Tere Liye has replaced the actor playing Khushi’s mother in the show. Today happened to be her first day of shoot. We bumped into a visibly exhausted Sanaya when we were leaving the sets. 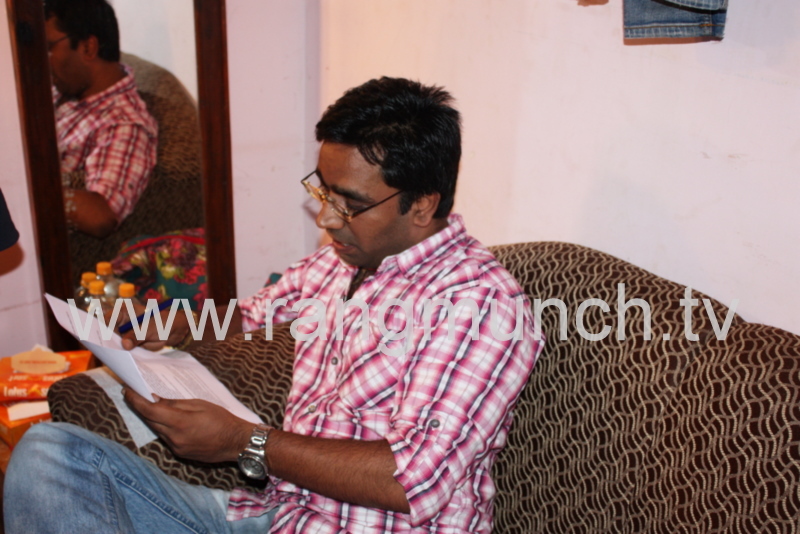 She had been shooting the entire day at another set – Arnav’s house. She left us with a promise to meet another day. So watch this space for more live updates on our set-hopping spree!